Budget forwards are dominating Fantasy Premier League. 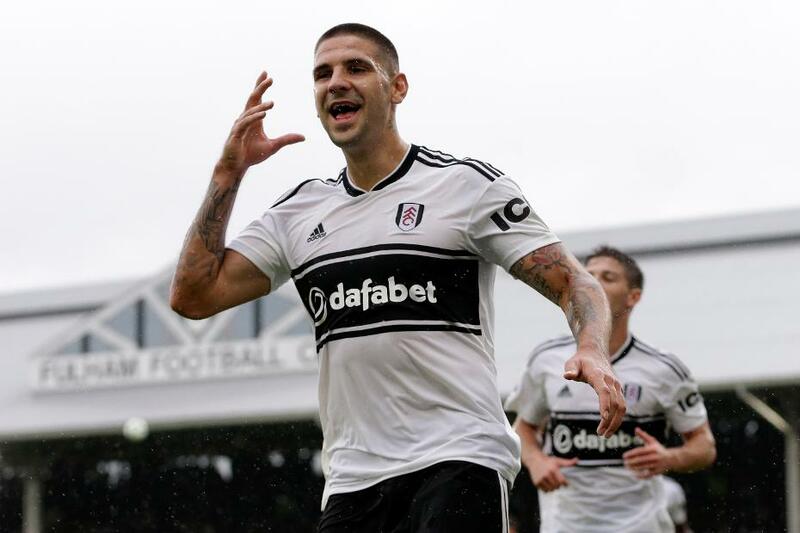 Aleksandar Mitrovic (£6.5m) is the latest to demand attention after two goals, an assist and 16 points against Burnley. The Fulham striker is now level with Sergio Aguero (£11.2m) on 24 points as the top-scoring forward in the game. FPL managers have been quick to react, with over 67,000 buying the Serb in the last 24 hours. The underlying statistics suggest he is worth targeting. Mitrovic's seven shots on target are more than any player, while his 15 shots in total are bettered only by Aguero and Mohamed Salah (£13.0m), with 16 apiece. The output of Mitrovic has continued an early rise of cut-price strikers in 2018/19. Seven of the nine highest-scoring forwards in FPL are priced at £7.0m or under. Callum Wilson (£6.1m) has been the most consistent. The AFC Bournemouth striker has produced a goal or an assist in each of his three appearances. And Marko Arnautovic (£7.0m), Wilfried Zaha (£7.0m) and Joselu (£5.0m) have all scored in two of the first three Gameweeks. In a season where expensive defenders are proving dominant, these budget forwards can offer Fantasy managers a crucial source of value. Investing in one, or even two cut-price strikers, can free up the cash required for those bigger spends in defence.